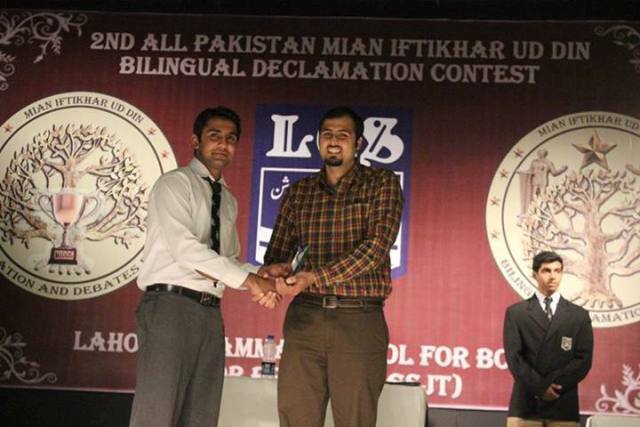 LGS Johar Town hosted it’s 2nd All Pakistan Mian Iftikhar-ud-din Bilingual Declamation Contest 2013 on 25 October 2013. Around 25 teams from various universities like LUMS, GC, PU and FAST participated in this competition. The chief guest at the competition was Sir Amjad Islam Amjad who presented an inspiring speech during the closing of the competition. 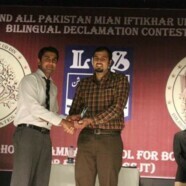 Representing Forman Christian College, we had Usama Tarar who spoke in the Urdu category and was able to earn the best speaker prize in the competition.